4. LIFETIME SATISFACTION GUARANTEE. All original Cozy Greens® products come with a LIFETIME guarantee. If you experience ANY problems with your sun shades FOR THE LIFETIME OF THE PRODUCT, contact us and we will refund every penny of your purchase, AND ship you new car window shades FREE of charge. Order your Cozy Greens® Shade today and experience the peace of mind that comes from knowing your baby is safe from harmful UV rays. 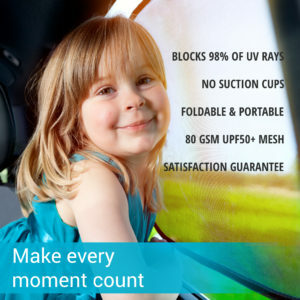 AMAZON CUSTOMERS SAY: FINALLY a sunshade that works! 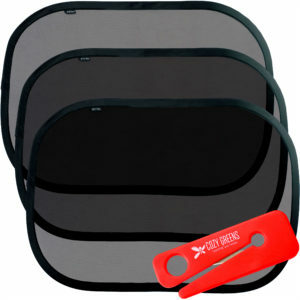 The Cozy Greens® car window sun shade is the perfect alternative to expensive window tints at a fraction of the price! 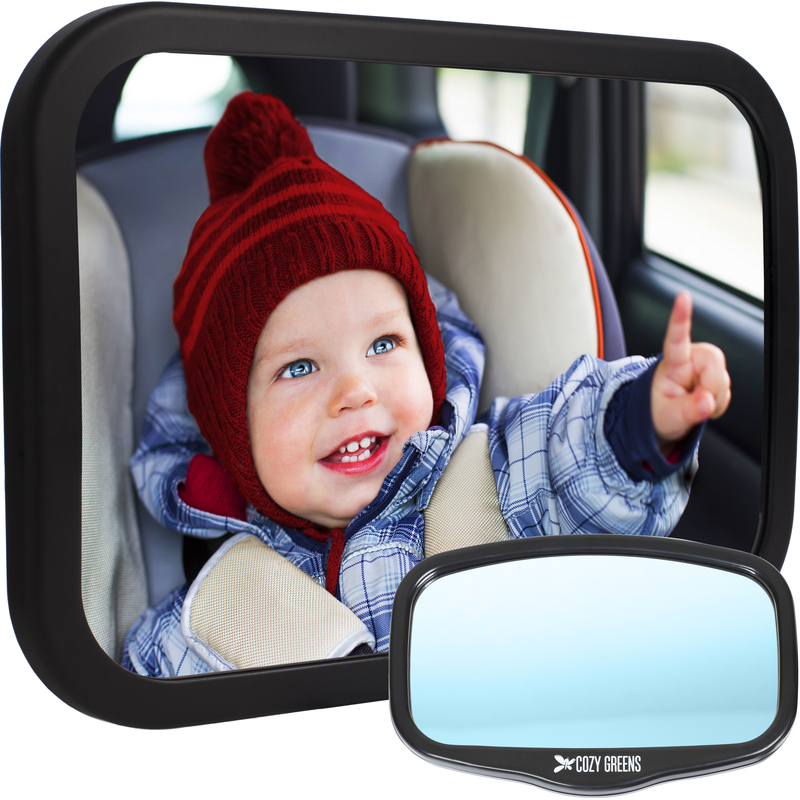 Our shades shield your children, babies or pets from 98% of harmful UV rays, which gives the added benefit of a temperature cooling effect for the interior of your vehicle. Made with our GuardMesh™ and a double layer of mesh fabric, our sunshade has been certified as UPF 50+, the highest rating in sun protection. 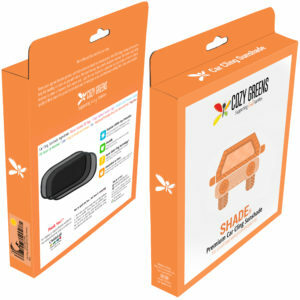 Cozy Grens® sun shades are designed with a universal fit, and are guaranteed to fit your car windows. 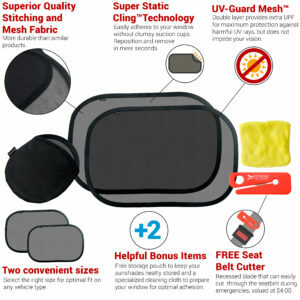 The durable frame is built to last, and the Super Static Cling Technology™ allows the shade to easily attach to the car windows, without the need for annoying suction cups. The shades are simple to adjust when needed, and come with a bonus carrying case for compact storage. Each order comes with 3 shades measuring 21 inches wide by 14 inches high. We offer a LIFETIME satisfaction guarantee on all original Cozy Greens® products. If for any reason you an unsatisfied with your purchase, simply call us and we will fully refund your money, AND send a replacement product at no additional charge. Cozy Greens® is a family owned business run by parents who believe in paying it forward. For this reason, we donate a big portion of our profits to Child’s Life Chances for Children Charity to help improve the quality of life of children in need. 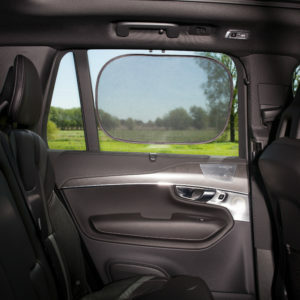 The Cozy Greens® car window sun shades will keep your loved ones protected from the heat and glare of the sun. 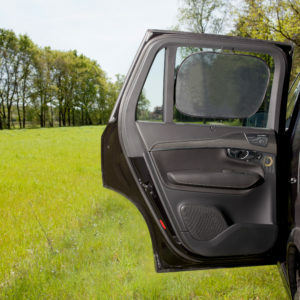 Order your car window sun shade today, and experience The Cozy Greens® difference!